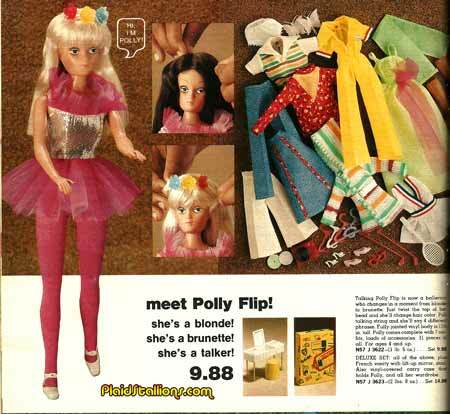 Plaid Stallions : Rambling and Reflections on '70s pop culture: Meet Polly Flip! That is one heck of an obscure (and exhausted-looking) fashion doll. The copy is too small to read - is the "flip" concept just a blonde and a brown wig, or did you get something cleverer for your $9.88? She looks like she has a had a rough life. 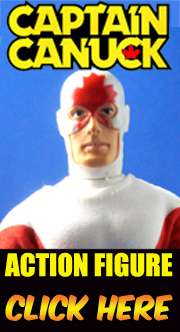 Happens when you have a split personality, I suppose. Wow, she does look very tired. Like she can barely belly-up to get the next drink down, lol. The hair concept looks like that of Tuesday Taylor's - swivel scalp that has blond hair on one side and brunette hair on the other. Thanks for sharing. I have never seen this particular doll before.